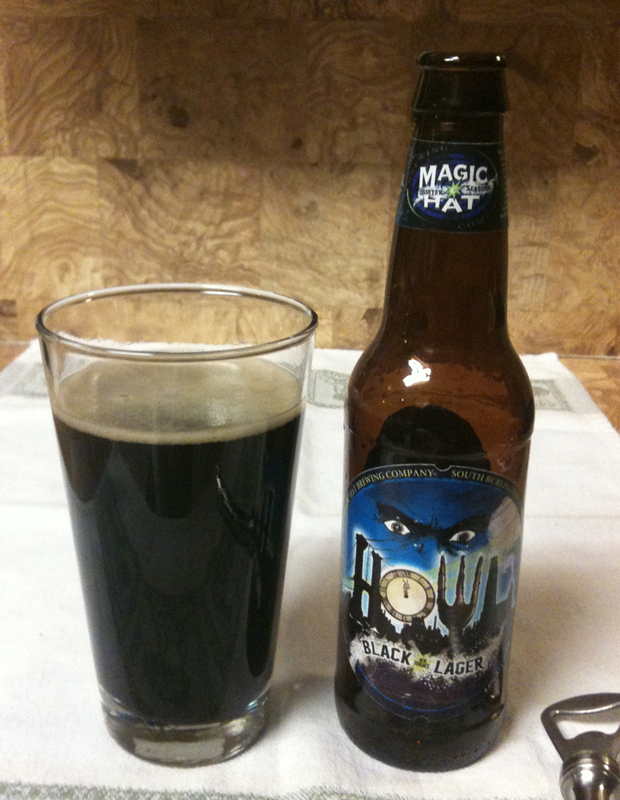 Howl Black-as-Night-Lager is a Winter Seasonal from Magic Hat Brewing. Their web site lists it as a black lager, with an IBU of 32, available from October to January. The twelve ounce bottle shows a 4.6% ABV. This beer pours with a nice dark head and is very dark in the glass. It is almost so black that you can't see a light through it when you hold it up to light. It has a nice beer aroma, and I seem to get slight hints of molasses. 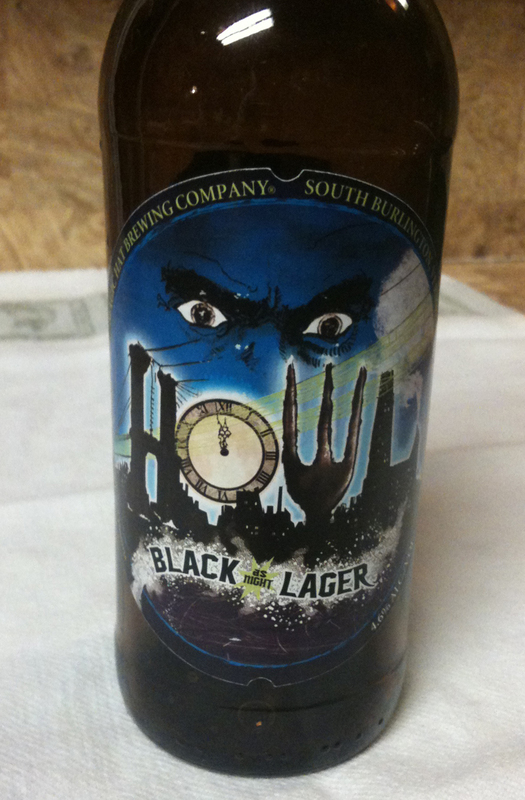 I am usually not a real fan of black lagers, because they seem a little light in the flavor department. However, this is one I would drink again. It has a nice maltiness and a fairly stout 'body'. I would rate it a strong medium on strength of flavor. There is a small amount of bitter aftertaste.